Want to spy on your friends to see what they are up to on social media? Not sure how to do it? There is a bunch of information about people’s Instagram activity that you can see. There are tons of apps and services that claim you can see all of your friend’s messages, log into their account, and so forth, but most of the time, it is just bogus. The only exception is if you would hack that account, but we only do honest spying here. In this article, we’re looking at the different ways you can see people’s Instagram activity. Depending on if the account is set to private, there are different measures you need to take to see an account’s post. If the account is private, it means that only the followers of that account can see their posts. Therefore, in order to see the posts, you must first request to follow, and then if the person accepts, you’ll be able to see their posts. If the account is open, seeing an account’s posts is as easy as 123. Just search for their account in the search bar and look through their posts. Their most recent will be displayed at the top, and the oldest will be located at the bottom. If you start following an account, you will automatically get their new posts in your feed. Simply open up the app and tap on the home icon in the bottom left corner and scroll through to see if you can find any posts from them. If you don’t, it’s usually because they haven’t posted anything recently. 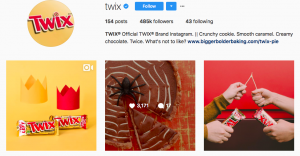 Do however have in mind that the Instagram Algorithm now decides what you see in your feed based on several different criteria. If you don’t interact with the posts from a particular account that you follow, Instagram takes this as an indication that you don’t care about their posts, and will, therefore, start sorting them out from your feed. Therefore, if you don’t see posts from an account, it might be because the Algorithm is filtering them away from you. You can also see the accounts a person follows. To do so, simply go to their account and tap “Following” in their top right corner. Without tapping it, you can see how many accounts they are following, and once you tap on it, you’ll get a list of all the accounts they follow. At the top of the list, you also have a small search bar where you can search for a particular account. If you are curious to see if they are following someone special, you can do this with the help of it. Note that you cannot see the accounts someone is following if they have their account set to private and you are not following that account. You will only be able to see the number of accounts they are following. Usually, the list of accounts that is presented is sorted with the accounts they followed most recently at the top and the accounts they followed least recently at the bottom, but have in mind that this is not always the case. An almost identical principle as the one above goes for seeing what accounts are following them. Go to their profile, and tap on the button just left of the “following button” in their profile, situated right above the “Follow /unfollow” button. The button will also tell you how many accounts that are following them. When you’ve tapped the button, you’ll be presented with a list of all the people who are following that account. Just like the accounts they follow, this list is usually sorted with the most recent followers at the top and the least recent at the bottom, but note that it isn’t always the case. You will also have a search bar at the top of the list where you can search for particular usernames. On Instagram, you can see posts that the account has been tagged in. If you have an account and get tagged in an image, you have the possibility of hiding posts that you are tagged in, if you don’t want other people to see it. Therefore, if you are looking for a particular post that someone is tagged in, but you can’t find it, the reason might be that they have hidden it from their profile. To see the accounts someone has bee tagged in, go to their profile and tap the human icon at the top of their feed. Here, you will see posts presented in the same way as they are in their feed, only that the images are posted by someone else. The photos will be displayed in chronological order where you’ll see the most recent post that they are tagged in at the top. How to see recent posts they’ve liked, comments they’ve left, people they started following. The most interesting way to see someone’s activity on Instagram is through your notifications section. And this is a feature that not everyone knows of. 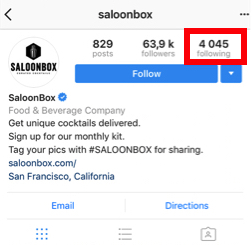 With this built-in feature on Instagram, you can see practically see notifications of everything they do on Instagram except when they share a post (and a few other things). To access this, go to the heart icon at the bottom of your screen and then swipe to the right when the new section appears. This will take you from “you” to “following”, where you instead of seeing your own notifications see the activity of those you follow. Remember that you will only see the activity from the people you follow. If you want to be able to see if they do something, and when they do something, you need to start following them first. There are several clever ways on Instagram to spy on people and see what they are up to. Depending on what you want to know, you can take different measures to access that information. Instagram allows you to watch every single move someone makes on the platform – if you’d like to. You just need to know how.